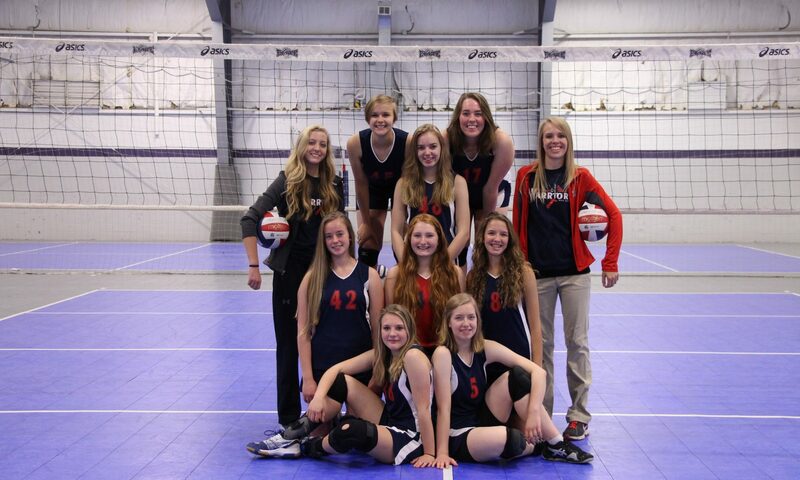 Metro Warriors Homeschool Athletics has faithfully served for over 20 years to provide young home-schooled women in the metro Omaha area with a Christ-centered volleyball and basketball program. We offer leadership and coaching from a Christian perspective with the intention of supporting the home and encouraging physical, social, and spiritual growth. Warriors Basketball Registration Opens on October 2nd! Eligibility: Athletes must be homeschooling or attending a Rule 13 school and be in grade 5-12. Participation is limited to eight years. Season: Basketball runs from November through March—the first Practice is on November 13th. Register your daughter before October 10 to qualify for Early Bird Pricing! Other Expenses: Travel/Out-of-town games for Varsity and JV teams, admission to games, proper attire. Volunteer: Like most youth sports organizations, the Warriors requires each family to volunteer time in two ways. First, each family needs to do a small team job over the course of the season. Second, in order to provide a financially accessible program to as many families as possible, ALL WARRIORS families (both Volleyball & Basketball) are required to help at our major annual fund raiser—the National Homeschool Volleyball Tournament (NHSVBT). Our low registration fees don’t cover our operating costs. We make this difference up by fundraising—primarily by hosting the NHSVBT. Last year, we raised nearly $14,000 through our fundraising efforts, leaving us with an operating reserve of almost $6000! What a blessing! This summer we put our reserve to good use by purchasing new uniforms for our High School Volleyball Teams and by adding a new Basketball Camp. On this year’s registration page we’re asking each FAMILY to commit to 10 hours during the tournament. New this year is an opportunity to simply say “no.” We understand that some families, if given the option, would choose to pay an additional $400 fee rather than committing time to volunteer jobs. Think of it as just another option for your family. Although we’ve added this new option for our families, it’s important to note that the Warriors don’t use a “penalty” or “fine” system for failing to complete volunteer work. As a Christian organization, were understand that your word is your bond. As a homeschool organization, we also understand that life happens. Please understand that the board won’t fine your family if you miss a commitment because of an emergency. A crucial date for you to put on your calendars is our end of season National Homeschool Volleyball Tournament. Please make sure that you are available the 1st through the 3rd of November to fulfill your National volunteer requirements. Athletes must be homeschooling or attending a Rule 13 school and be in grade 5-12. Participation is limited to eight years. need more information? check out our handbook.